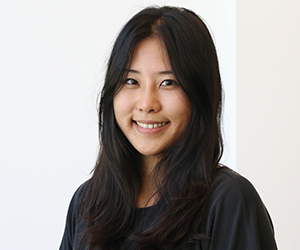 Wanting to study public relations in today’s fast-paced media environment, Solyee returned to Grady as a Ph.D. student after working at a PR firm in Atlanta since her graduation in 2016. During her Ph.D. program, she hopes to explore emerging media, how the public perceives and experiences it, and its impact on different cultures and societies. She worked with a wide range of clients and non-profit organizations, including the United Nations Non-Government Liaison Service, the International Rescue Committee in Atlanta, the Korean Federation of UNESCO and the Special Olympics. Recently, she participated in a PRSA award-winning video marketing series for the Southern Group of State Foresters for its successful Facebook engagement. She earned her M.A. in journalism and mass communication with a concentration on public relations at the Grady College at University of Georgia and her B.A. in German Language and Literature with a minor in political science and diplomacy from Chung-Ang University in Seoul, South Korea.